Happy Friday! 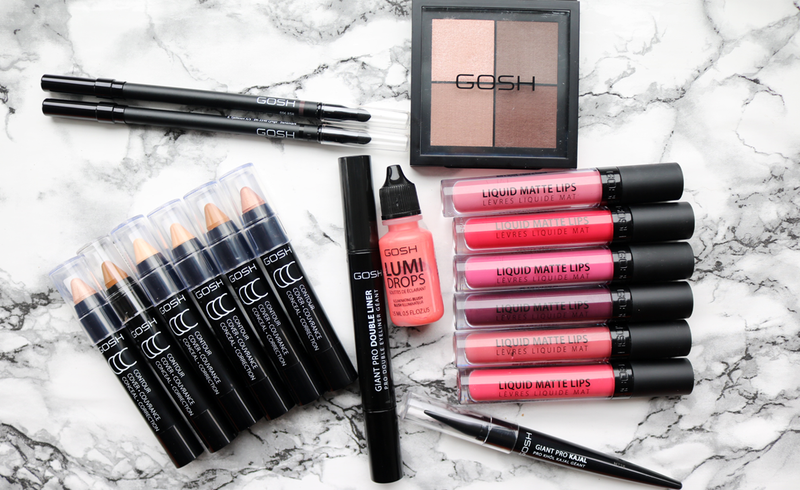 The weekend is almost upon us, and if you're heading to the high street tomorrow, you might want to pop into Superdrug to get your hands on some of these shiny new makeup releases from GOSH's latest SS17 collection. 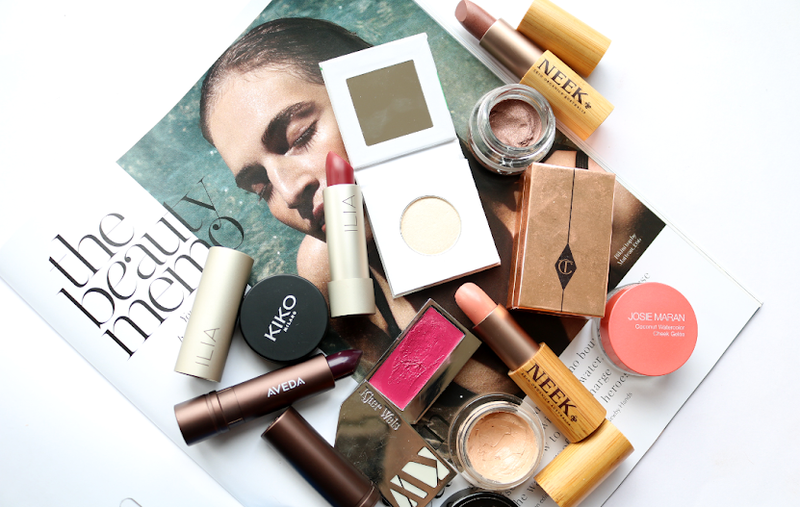 If you're after affordable, on-trend makeup, GOSH have got you covered. 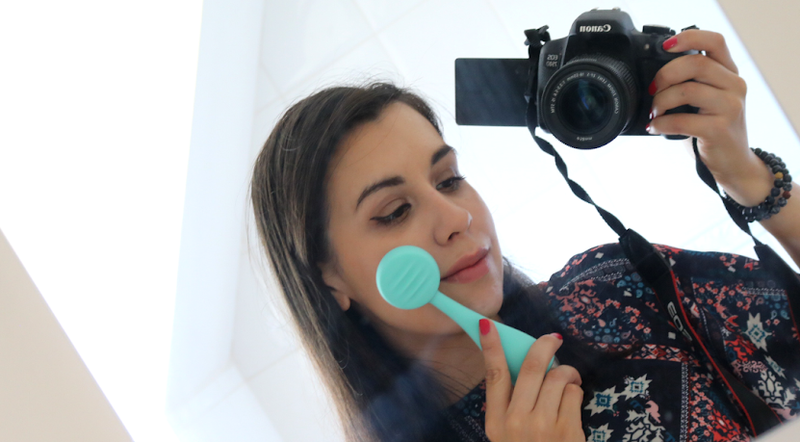 Their range is quite frankly enormous and they're always releasing exciting brand new products. 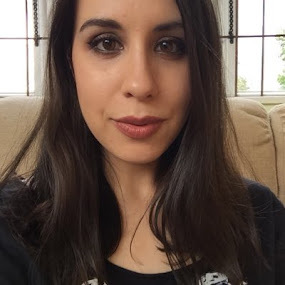 I've raved about several of their products before, but I particularly love their Rebel Eyes Mascara (which was one of my favourite budget makeup finds of last year), and they do some wicked Forever Matt Eyeshadow Sticks, as well as a fab range of primers, lippies and eyeliners. Their latest SS17 collection is inspired by Nordic/Danish beauty (the brand are based in Copenhagen) and the 'urban nature' landscape, mixing in earthy tones with stronger, empowering, rebellious brights. 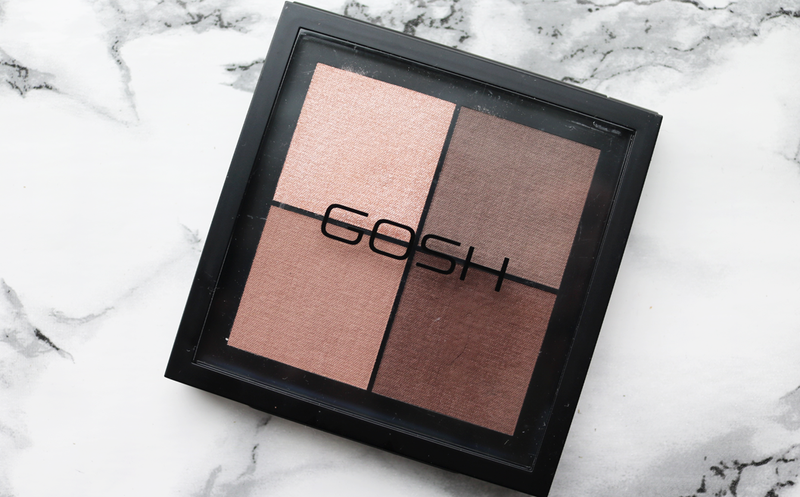 Like all of GOSH's previous collections, this one's also very trend based, so if you're looking to update your makeup look/bag for Spring, you're in the right place! 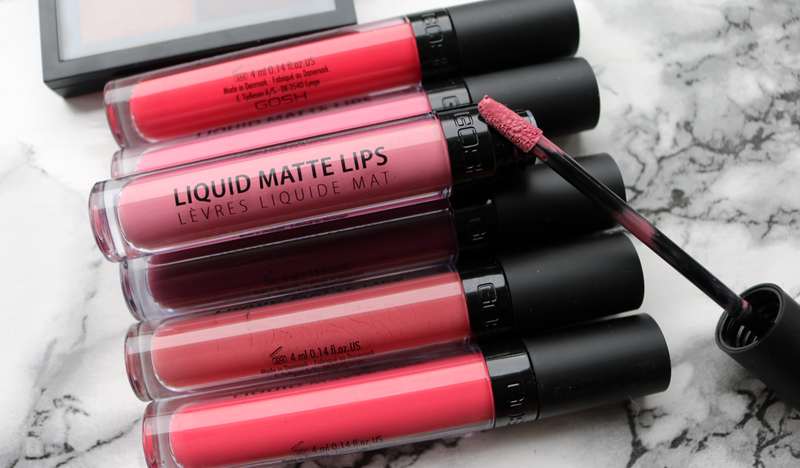 Matte lips are a trend that continues to reign over all other lip products at the moment, and like many, I've found myself adding more and more of these kinds of products to my makeup stash. Whilst I do enjoy a matte lip, I definitely favour formulas which are a lot less drying and GOSH have managed to do an excellent job with these as they're infused with 'LIPerfection' (an Eco-cert formula based on Mustard Sprouts to plump and hydrate the lips), plus they contain extracts of Dandelion which is known for being high in vitamins and antioxidants. 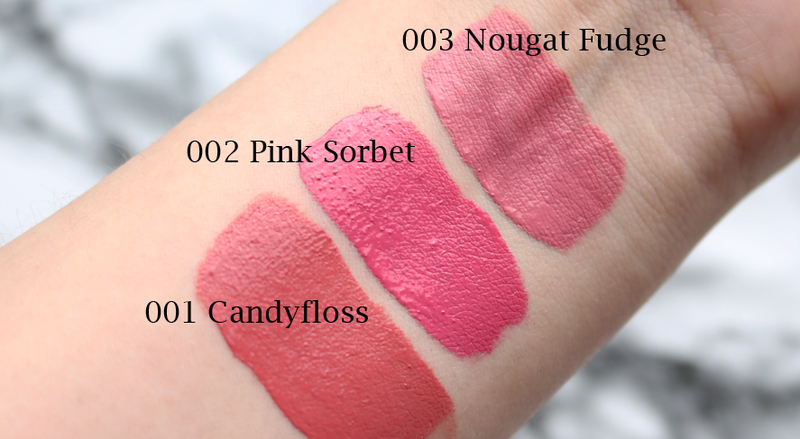 The texture of these Liquid Matte Lips has an almost whipped-creme consistency to them, and they're highly pigmented so it only takes one or two swipes to get a smooth and even coat onto the lips. 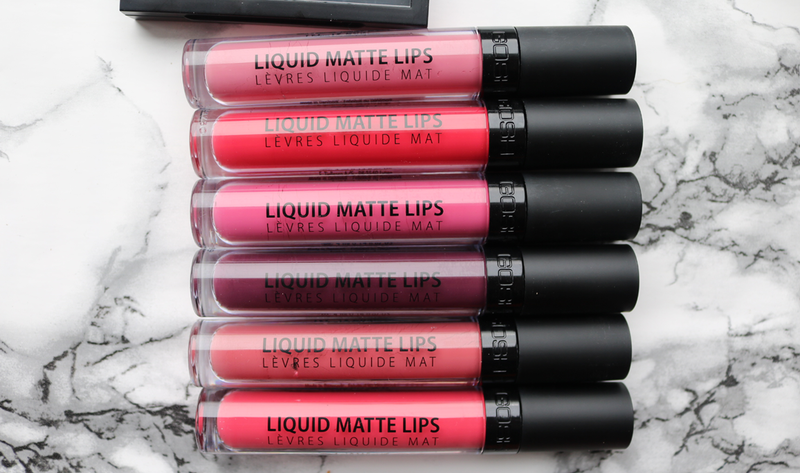 They don't dry down to a hard, dry matte finish, though, but I'd still say they're pretty matte overall and would be a good one to try if you don't like the intensely drying feel of other matte lip products. 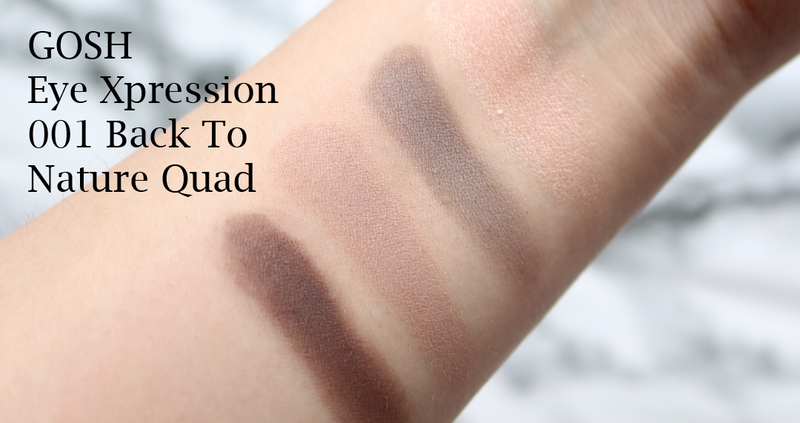 There are eight shades available and I received six of them to try out - all of which I've found to be long-lasting (around 6-7 hours on me), before fading evenly. 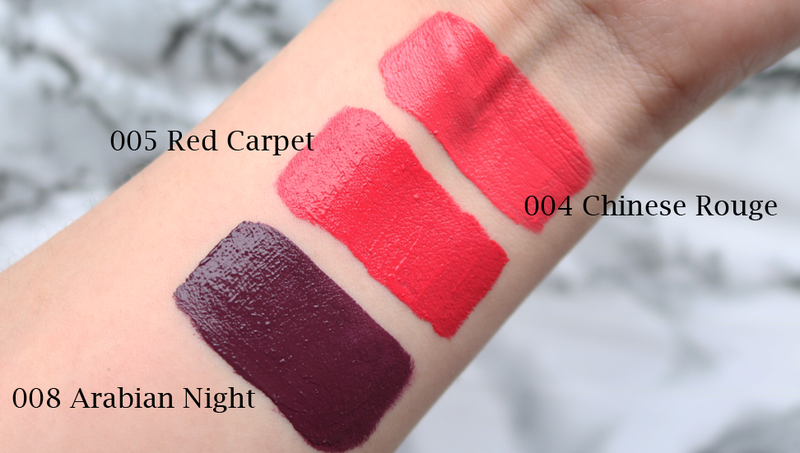 My favourite shades for everyday are Nougat Fudge and Candyfloss, and Arabian Night is an amazing colour to opt for if you want a killer vampy dark lip for a night out! For a convenient compact eyeshadow quad to throw into your makeup bag or use for a neutral look every day, GOSH's new Eye Xpression in Back To Nature has everything you need for a fuss-free, easy look. These eyeshadows are super soft and silky, easy to blend and work with, and they have great pigmentation. The formula is perfume and paraben free, and each quad contains a shimmery highlight shade alongside three straight-up matte colours. In the SS17 collection, you'll find three new quads including this one. This combination Back To Nature has a gorgeous pale pink with a golden shimmer, a light neutral brown with pink undertones, a classic medium taupe brown and a dark brown with a red undertone. All of the shades work well together, but if I find myself in a rush, I'll just sweep on that classic taupe shade all over the lid and I'm good to go! The only slight bugbear that I have with this quad (and the GOSH eyeshadow palettes in general) is that the eyeshadow pans are completely 'flat' within the plastic casing of the quad, so the outside edges of each pan can get quite messy with regular use. 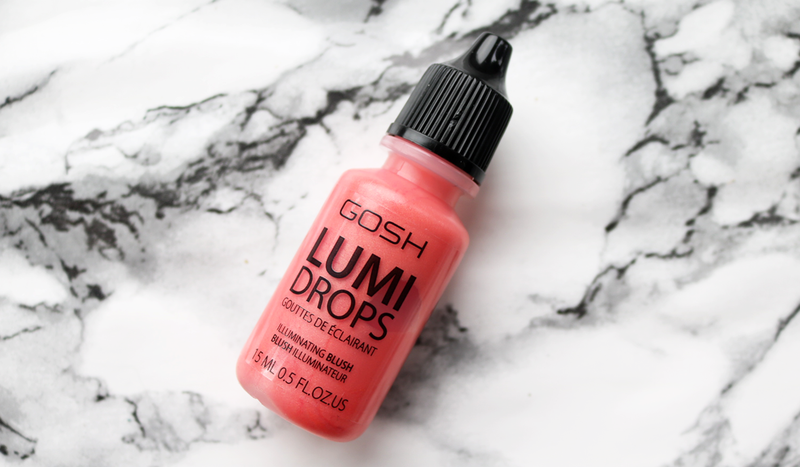 GOSH's Lumi Drops are a really cool range of multi-purpose, illuminating liquid products that you can mix with your regular foundation or use on their own for a glowy highlight. 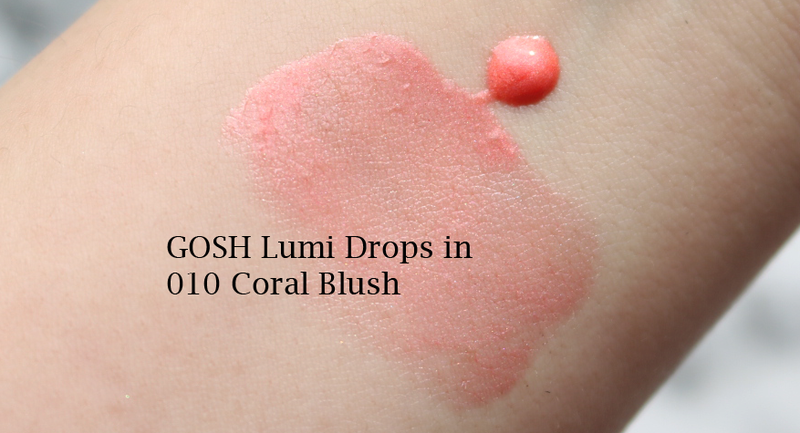 Thanks to the popularity of these, GOSH have now released two new illuminating liquid blushers and they are surprisingly really easy to use. You only need a drop for each cheek and as you blend them, they sheer out into the prettiest, natural looking flush with a subtle, glowy shimmer. I have the shade Coral Blush which looks quite bright in the bottle, but once applied, it's actually very wearable and a great choice for Spring to give you an instantly fresh and awake look. Eyeliners are something that GOSH do exceptionally well and I feel they are seriously underrated as I hardly ever see anyone talking about them! I'm sure that's set to change though with the launch of several new eyeliners, including these. The Infinity Eye Liners are wax-based, classic pencil liners that come with a smudger on the end for easy smoking out. They're long-lasting, smudge-proof, waterproof and can be used happily in the waterline (I find these are great for tight-lining with too). There are six shades available and I've been enjoying playing with Black and Ash as both are creamy and smooth (no dragging here! ), and richly pigmented. 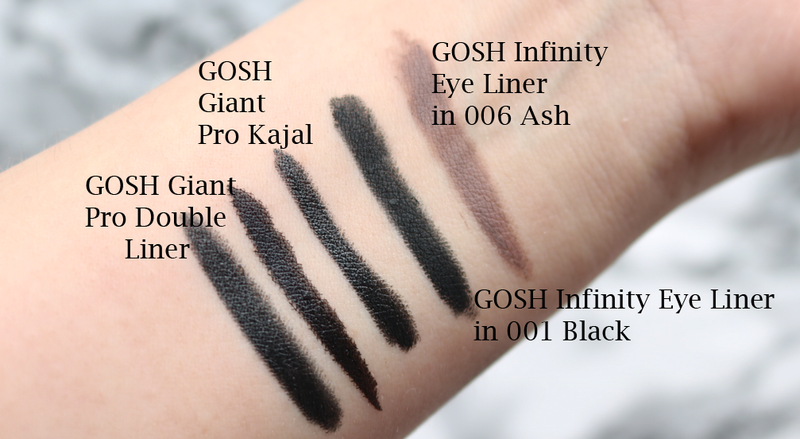 An absolute steal for only £6.99 and definitely some of the best affordable eyeliners out there. 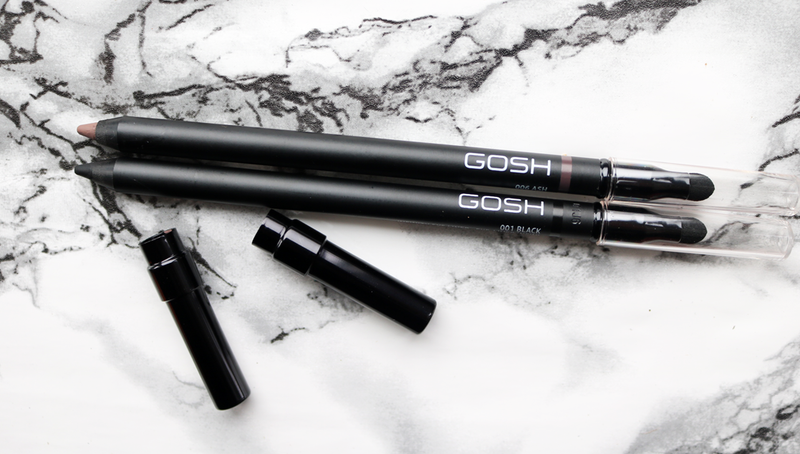 If you like your liners to be big and chunky but with slim tapered tips, these two from GOSH will be right up your street. I have to admit that I didn't initially warm to these when I first saw them. The first thought that went through my mind was that they were just too big, but oddly enough, they're both comfortable and easy to hold. The Giant Pro Double Liner is a makeup bag must-have as it boasts a liquid liner on one end and a kajal on the other. The tip of the liquid liner is nice and pointed so you can achieve a fine, sharp line easily, and the inky formula sets quickly, doesn't smudge and it's a strong, deep black. The kajal liner has a lovely smooth and creamy feel about it, and again it's highly pigmented and long-lasting. You can create a lot of different looks with this double liner and I love the 2-in-1 convenience of having a liquid liner to use on the top for a quick cat flick, and a kajal liner to use on the waterline for a smokey eye finish. 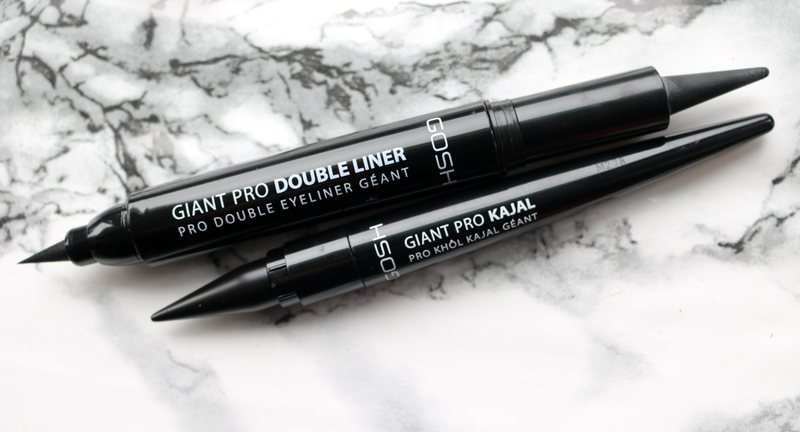 I was expecting the Giant Pro Kajal to be the same formula as the one in the Double Liner that I've just mentioned, but no, it's definitely different as it has a much richer and glossier finish. Again, this one's easy to work with, long-lasting, can be used on the waterline and delivers a strong black line for a bold look. I imagine these multi-purpose CCC sticks will be one of the big sellers from this new collection, and they're pretty damn good. 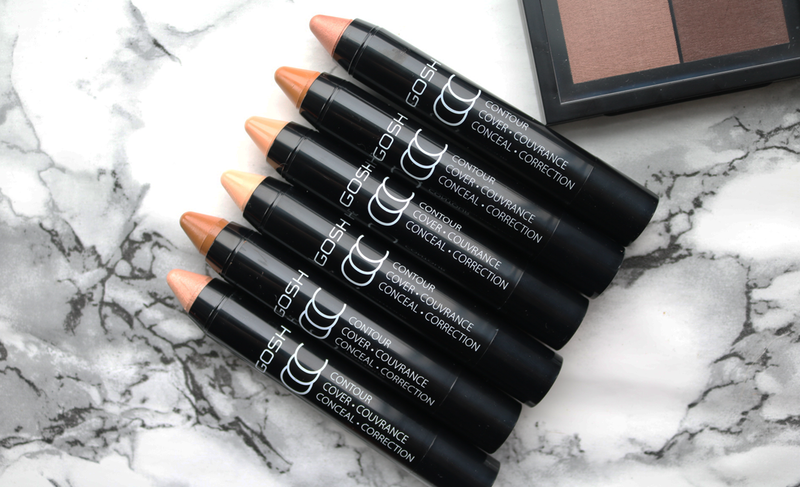 CCC stands for 'Contour, Cover, Conceal' which literally sums up what they do. 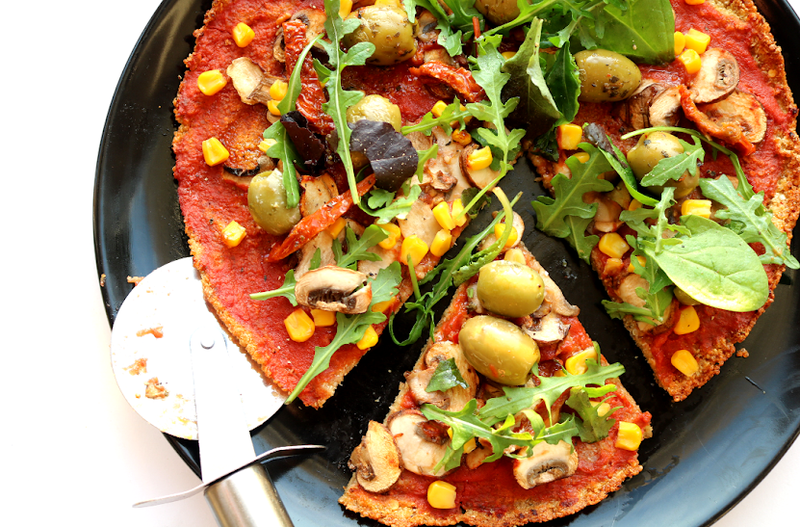 The texture of these are really creamy and the crayon nature of the sticks makes them a doddle to apply. I'd highly recommend these for newbies to contouring as they give you a lot more control over where the product is going than a palette and a brush offers. Due to their creamy consistency, they're easy to blend and have a sort of 'soft focus' finish to them which gives a subtle blurring effect. 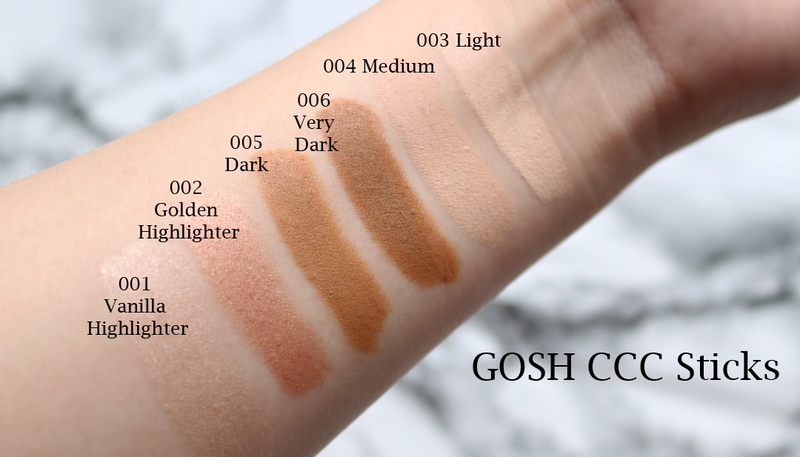 There are six shades currently available; two highlighting shades and four concealing and contouring colours to suit a range of different skin tones. I'm usually a 'Light Beige' in most foundation and concealer ranges (though sometimes a little lighter or darker depending on the time of the year), and I've been mostly using Light underneath my eyes to conceal dark circles, Medium to conceal any blemishes or marks, and Dark as a contour shade to give some definition to my cheekbones (Very Dark looks a bit too muddy on me, but may work in the summer when I'm more tanned). 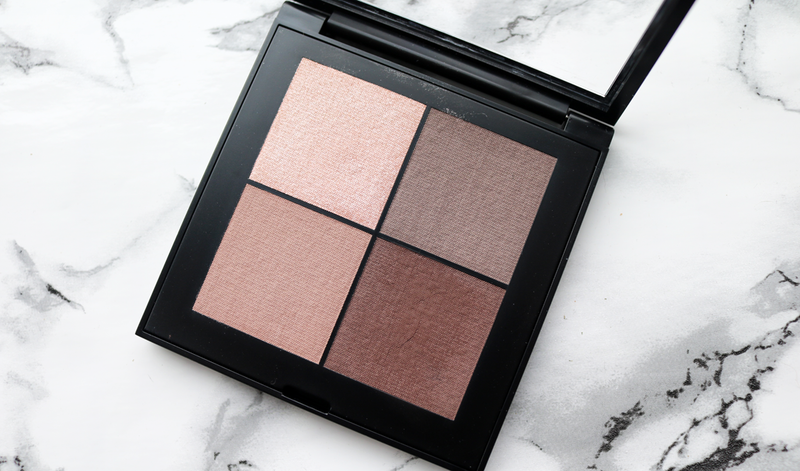 I've also been getting a lot of use out of the two highlighter shades as Vanilla is a great all-rounder for the inner corner of my eyes and on the top of my cheeks, whereas the Golden Highlighter looks good on my cheeks instead of using a blusher. Needless to say, I like these lot! Anything you'd like to pick up and try?